For casting, pitching or flippin. The eye of the hook is turned up for a better fall and hook set. The head is cone shaped for better brush fishing. 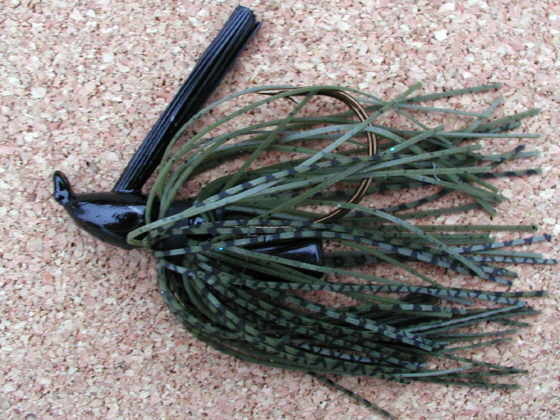 The Stroker Jig is a casting jig designed for vertical fall. It contains a wide gap, wired, needle point mustard hook for better deep water hookups. 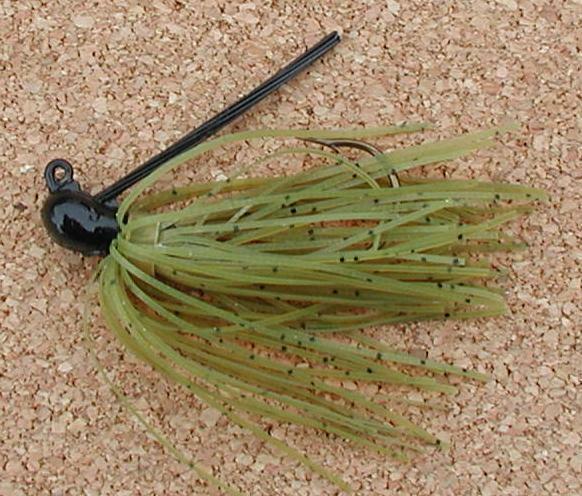 A Football jig designed for ledge fishing and dragging through shell beds. Equipped with a high quality Gamakatsu J hook which is designed with extended barb to accomodate large trailers. 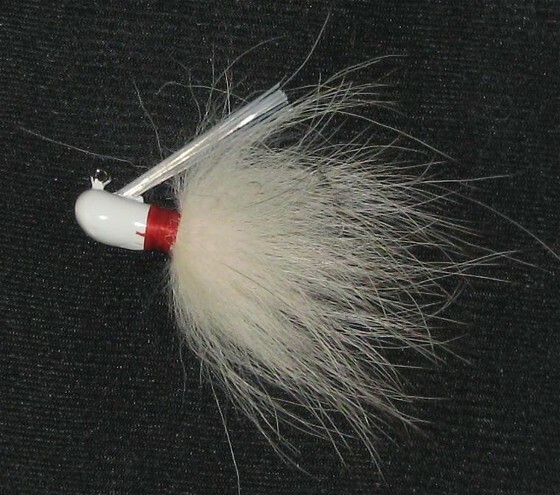 The Onie Fly features hand tied Artic fox hair, and a needlepoint hook designed to keep trailers in place. 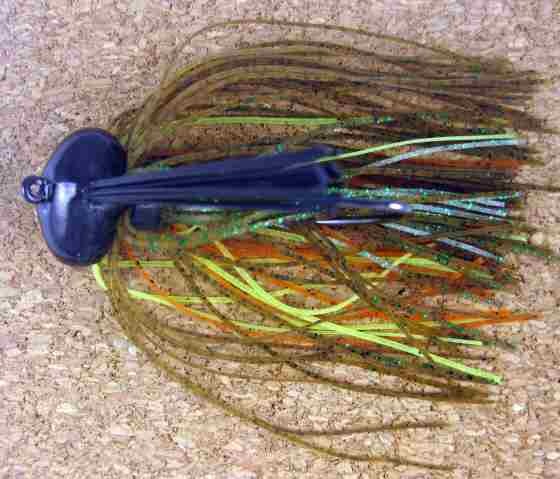 A Finesse Jig - Excellent for small mouth and down sizing for a large mouth. 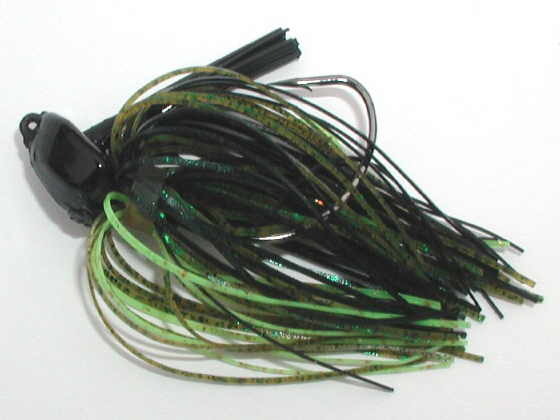 Contains a light fiber guard and premium hook for a weedless presentation and consistent hookup. 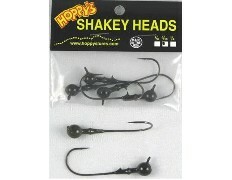 This Hoppy's Tournament Head features a Mustad black nickel needle point hook that is the perfect length for fishing the shakey worm or finesse worm.. 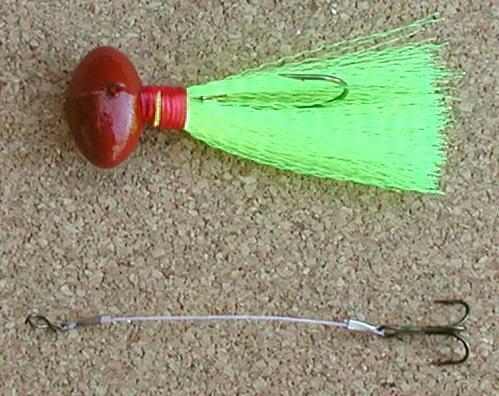 This hook has a turned around flat eye for better action and hook set. 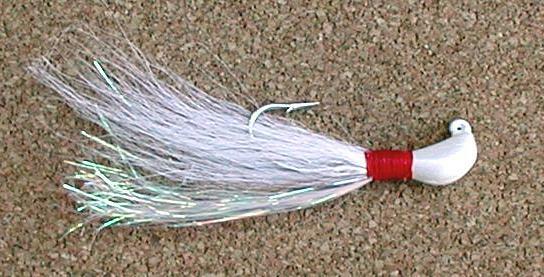 Northern Buck Tail w/saltwater hook.